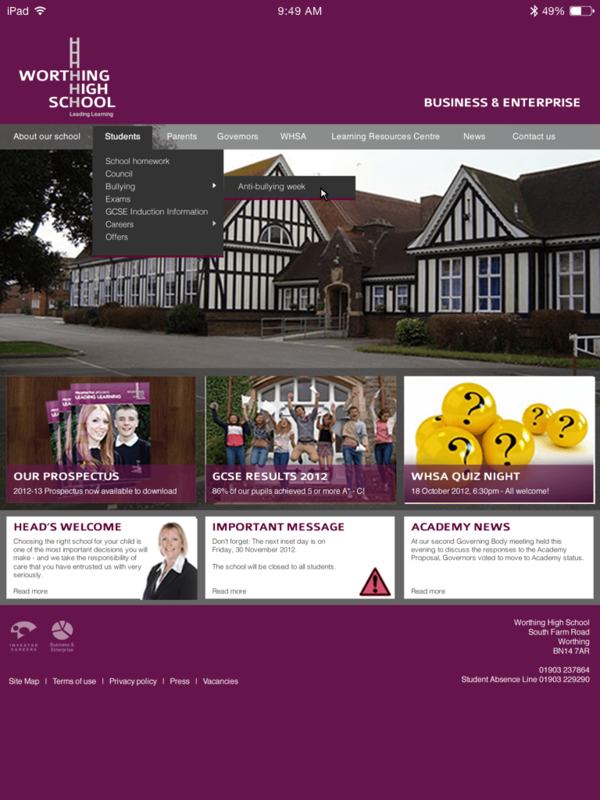 Used as part of a proposal to the new Headteacher, this design was a created to show how a redesigned website for the school might look. At the time, the school’s website was very old fashioned and was desperately in need of an update. 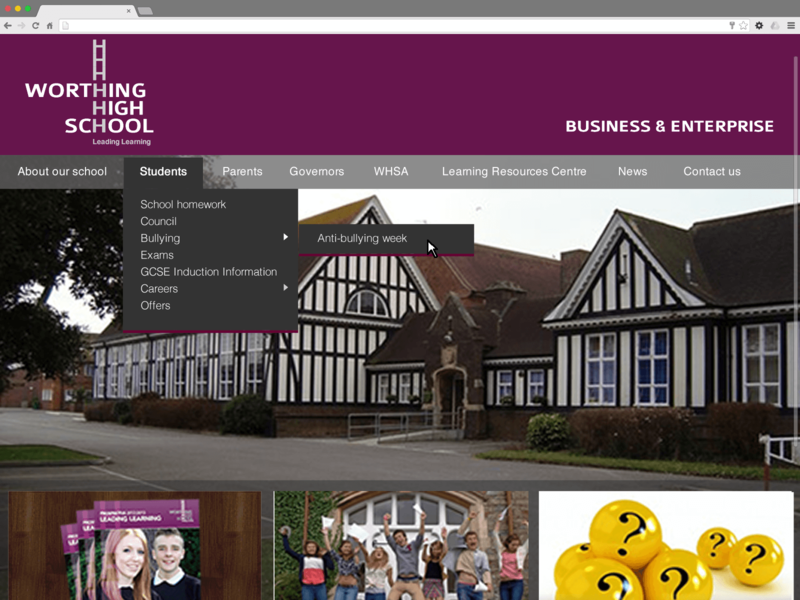 The proposal used the schools branding at the time, and showed how the logo and colour scheme could be applied to a homepage. Unfortunately, the proposal was not successful and the website was redeveloped by another agency, and a new brand as created for the school on it’s change to academy status.